It’s DAY 25 of my Birthday Month Giveaways and I am raffling off a giveaway by Teach Speech 365, which is There was a Silly SLP who Got Stuck to Some Categories . This catchy little mini-book activity targets categorization skills. 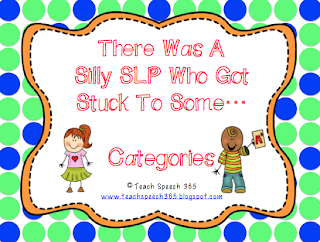 The silly SLP gets stuck on all sorts of things. There is also a complementary silly male SLP [named Sam] which contains the same activities! You can find this product in Teach Speech 365 TPT store by clicking HERE or you can enter my giveaway for a chance to win. I have lots ot students working on categorization and this looks like a really entertaiing activity. I would use this with my elementary kids. I think they will like that its an SLP themed activity. 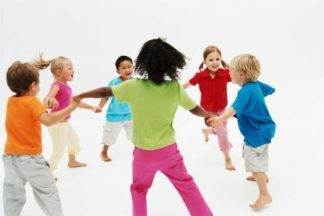 This looks very fun and entertaining for the kids. I have lots of students that work on category skills. I’m always on the lookout for fun new ideas for categorizing. Sounds like fun. My students are loving the Old Lady books, and I am an old lady and an SLP so this is perfect for me!